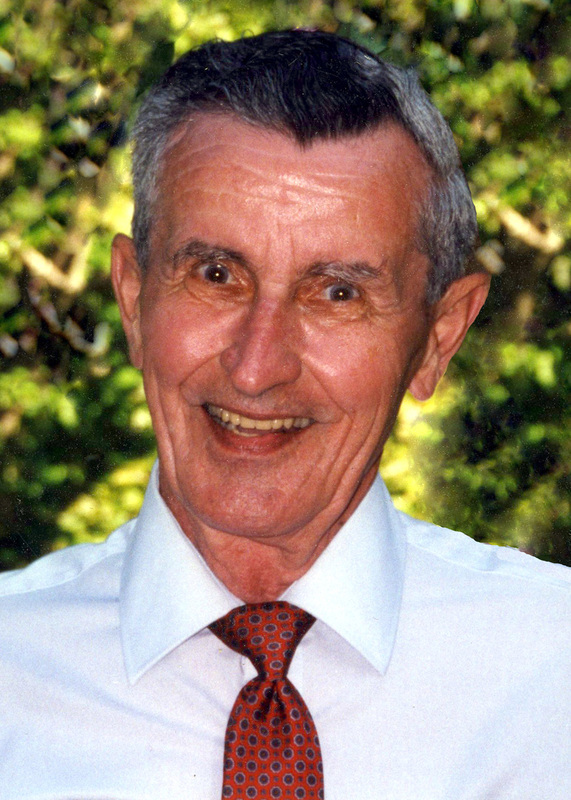 Robert L. Boyd 91, of Boothbay Harbor, Maine passed away surrounded by his family on May 1, 2018. Robert was born in Boothbay Harbor, the Son of Robert A. Boyd and Esther M. (Dunton) Boyd. He was always proud to be the grandson of Lewis A. Dunton, Sail maker and namesake of the coastal schooner, the L.A. Dunton, now part of the Mystic Seaport Museum. May 28, 1949, Robert married his high school sweetheart, Calista Townsend. Robert attended local schools and graduated from Boothbay Harbor High School, Class of 1944. A Veteran of WWII, he served in the Navy from June 22, 1944- May 30, 1946, primarily aboard the USS Daly, DD519. Some of his military recognition included; WWII Victory Medal, American Area Medal, 2 Star Asiatic Pacific Area Medal and Philippine Liberation Area Medal. After returning home from the Service, he held jobs with Cliff Reny Plumbing, and Sample’s Shipyard until entering the Postal Service for 30 years, where he became Post Master in the 1960’s. Loving to work, he was always moon-lighting as a caretake for private cottages and The Welch House, plus working evenings processing shrimp on Southport. Robert volunteered and held positions for the Town of Boothbay Harbor; fireman, Animal Control Officer and a member of the Board of Assessors, and Selectmen. He was a 58 year member of Seaside Lodge #144 AF & AM. For twenty years after his retirement from the Post Office, you could find Robert doing many tasks at Boothbay Region Greenhouses. He had a special flare for his job delivering flowers. Not only did the flowers brighten people’s day, but Robert’s smile and lighthearted demeanor added a special touch. Some of his favorite past times were hunting from his camp in Alna, vegetable gardening and enjoying his pets. Robert was predeceased by his wife Calista Townsend Boyd. He is survived by a Son, Robert W. Boyd and wife Kitty of Boothbay Harbor, ME., Daughter, Ann Boyd, also of Boothbay Harbor, ME. Grandchildren: Cameron Boyd and wife Kerry of Scarborough, Dylan Boyd and wife C.J. of Cape Elizabeth, ME., Ryan Dunn and wife Lauren of Charlottesville, VA., and Shane Dunn and wife Samantha of Philadelphia , PA.
Great Grandchildren ; Walker and Liam Boyd of Scarborough, Maine, and Connor and Camden Dunn of Virginia. Robert resided at St. Andrews Village for the past 10 years. The family wishes to thank all the caregivers and staff who provided the wonderful support and care during those years. Per Robert’s wishes, there will be a private family Memorial Service at a later date. Those wishing to make a remembrance in Robert’s name may contribute to the Boothbay Region Humane Society, 153 Townsend Ave., Boothbay Harbor, ME 04538.